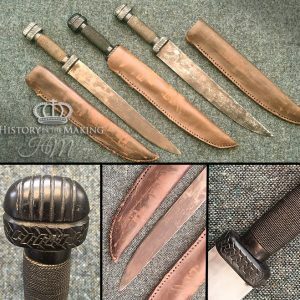 We have a large stock of swords which are appropriate for the Anglo-Saxon / Viking Period. 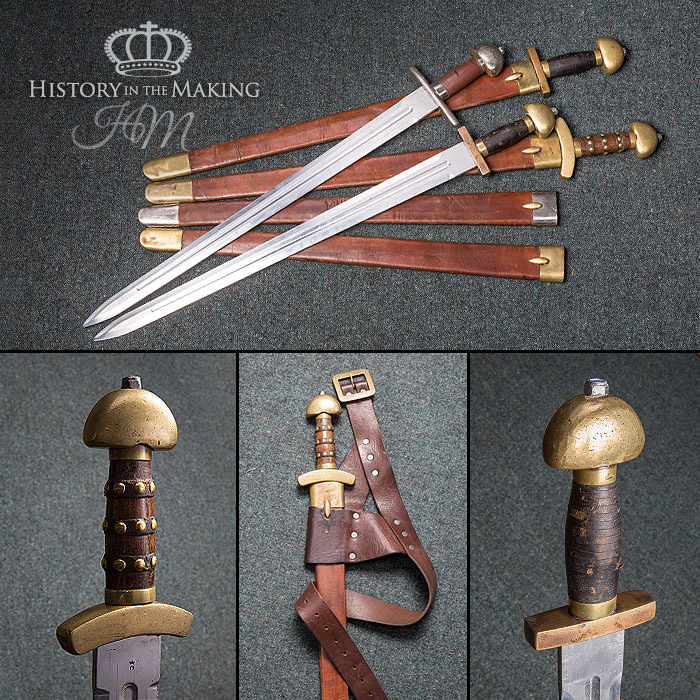 Most of the swords are individual in design and are made in-house using Duralium Blades in Hardwood hand grips and solid Brass Cross Guard and Pommel. This makes the swords very practical for both costume and stage combat use. 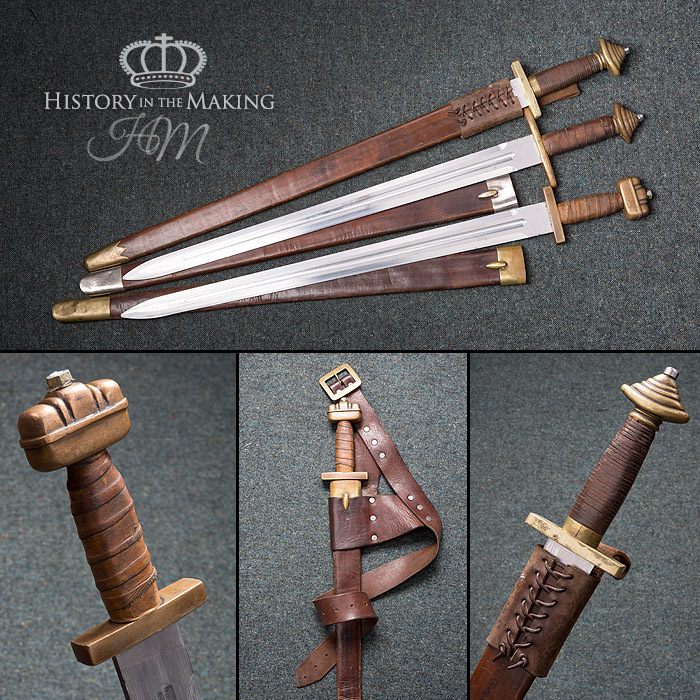 Most of the swords are supplied with a scabbard and can be carried on one of our leather sword belts.